Today I have one sick child who needs tending, some thoughts turned toward our annual Midsummer Night fairy tea party, and work that needs getting done. But there is always a moment or two to spare outside, taking in the utter amazingness of summer. 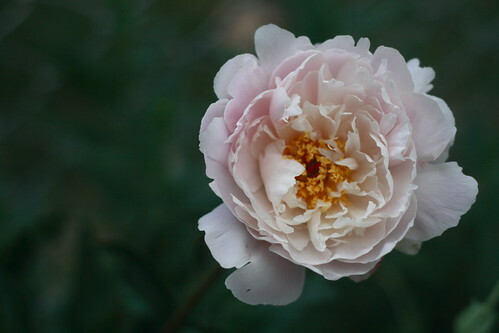 My peonies bloomed later than usual this year, and they have been absolutely beautiful -- I'm always taken by surprise by their beauty and fragrance. I'm so happy to see them!